Bootstrap has become one the most favored web development tools in the industry and it is extensively used by web developers due to its flexibility, great responsiveness, design consistency and the easy customization process. In the following list, you will find some of the best free Bootstrap templates for your use and inspiration. 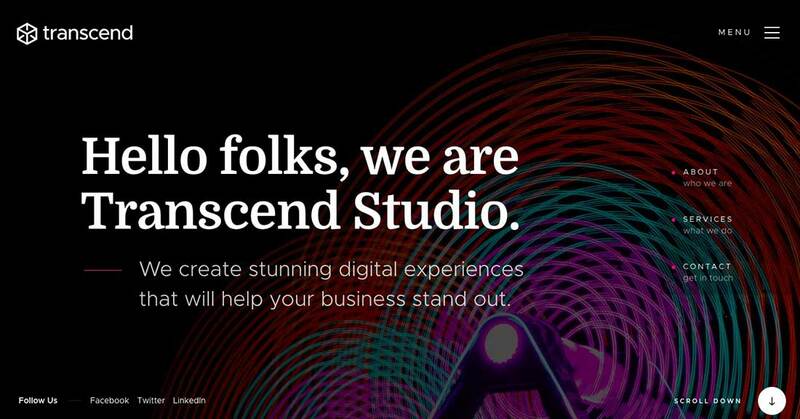 Transcend comes with a full-screen banner, great navigation to portfolio section and testimonials, a well-structured layout, great portfolio sections and layouts, a modern and highly responsive design and great customization tools. Katt is another Bootstrap theme and was created especially for any blog and portfolio websites. It can be used by freelancers, bloggers, designers, and other creatives and has a fully responsive design. 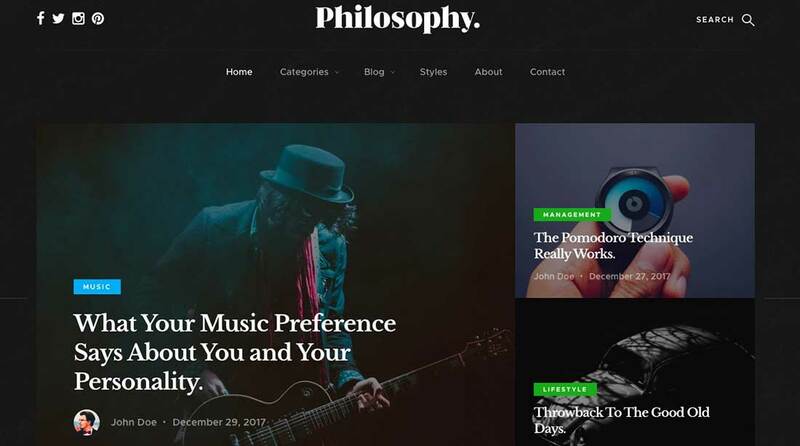 Philosophy is a free blog template and it’s best suited for any fashion, design, or personal blogs. It has a neat design based on a black and white contrast, it comes with great sections and galleries, many customization tools and other great features. 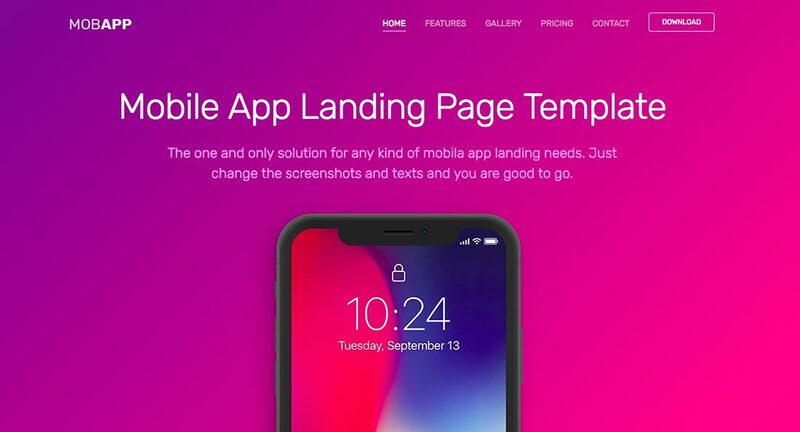 MobApp was created to serve as a mobile app landing page and it works perfectly on any mobile device. The design is attractive, modern and full of energetic colors. 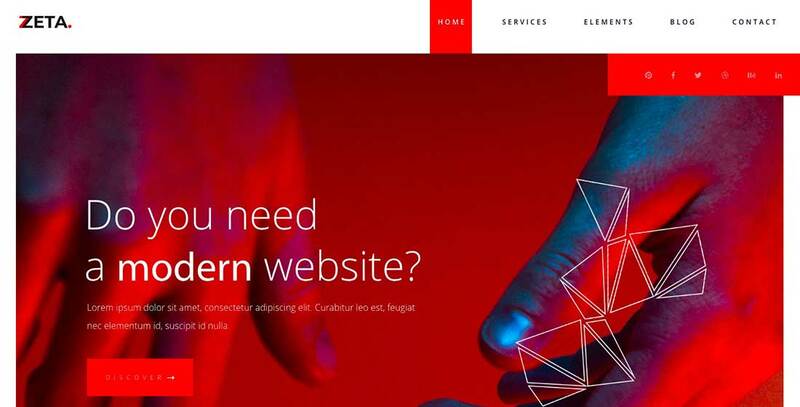 Zeta has a modern design and it’s perfect for any business websites. The design is fully responsive, has many customization tools, a clean menu, and many other helpful features. 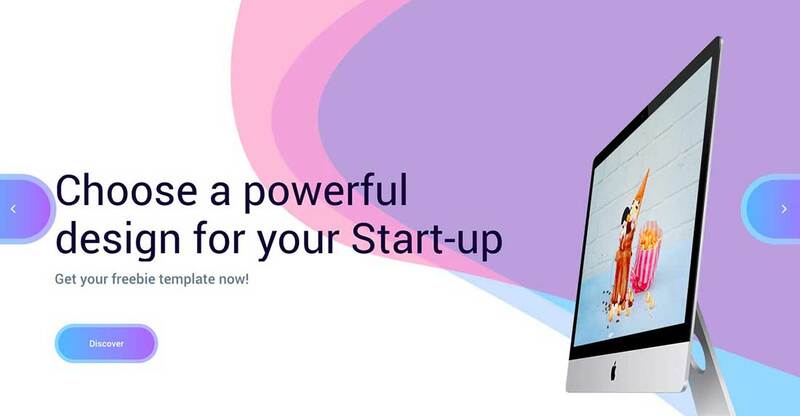 Startup is an astonishing landing page website template with a clean, modern and minimalistic design. It’s best suited for any startup businesses, and it can be used to showcase services and products. Startup comes with many customization tools, great features for enhancing the visitor’s experience and a 100% responsive design. 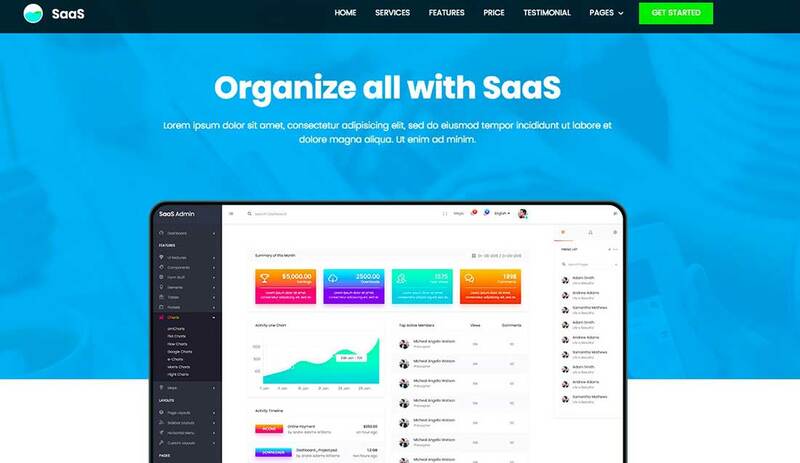 SaaS is a free and responsive SaaS website template and it comes with a clean, modern and well-structured design. It has simple sections and layouts, it’s simple to install, use and customize, has many great features and a fully responsive design on any mobile device. 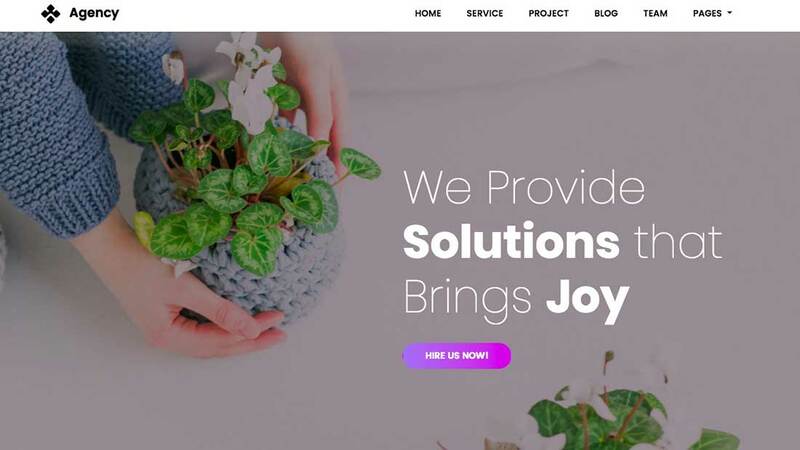 Drimo is another landing page website template and it comes with 11 modern one-page layouts for products and services, a blog page, a clean and neat design which is fully responsive and many other great features and also customization tools. Creative Agency is best suited for any marketing websites and it has a clean and modern design. 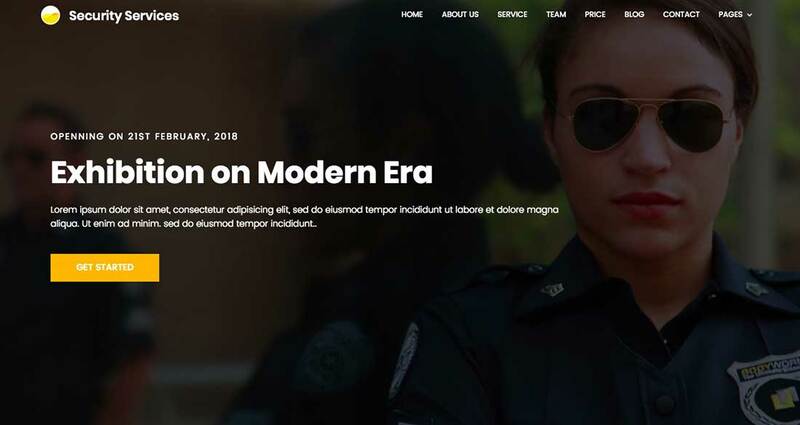 This theme comes with a parallax banner with a call-to-action button, different sections, a fully responsive design on any device and other great features. This is another Bootstrap theme and it comes with a big image banner, text and call-to-action button, pricing tables and a contact page with a fully working contact form and integrated Google Maps. The design is modern and well-structured and it’s 100% responsive on any device. Sierra has a joyful design based on organic shapes and high-resolution images creating a clean and modern looking aspect. It can be used by any creatives, has many customization tools and the design is fully responsive. 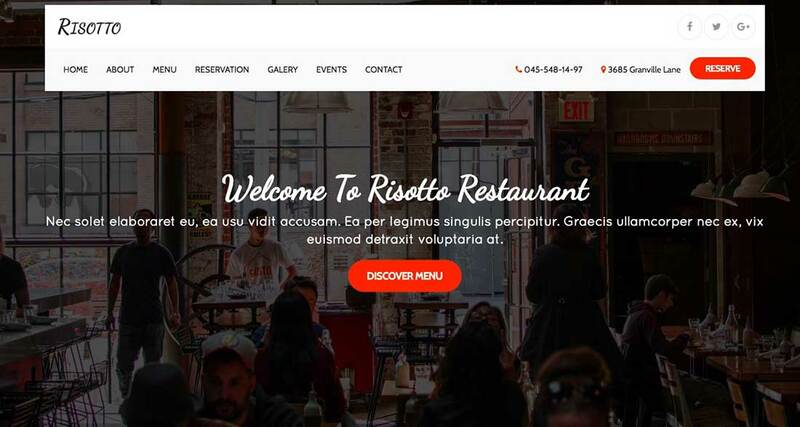 Risotto is another Bootstrap theme and it comes with a fullscreen design, a large and highly functional menu and many customization tools. It’s fully responsive on any mobile device and has many other helpful features. 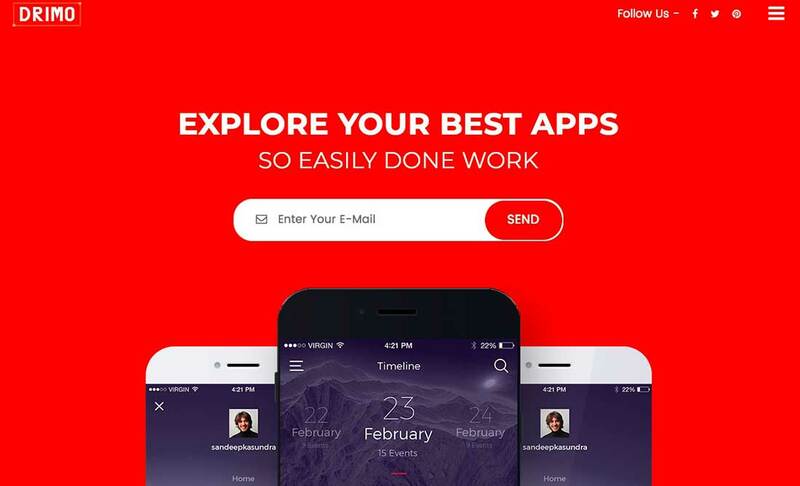 If you need a clean and modern looking App Landing page, then Pratt is a perfect choice. 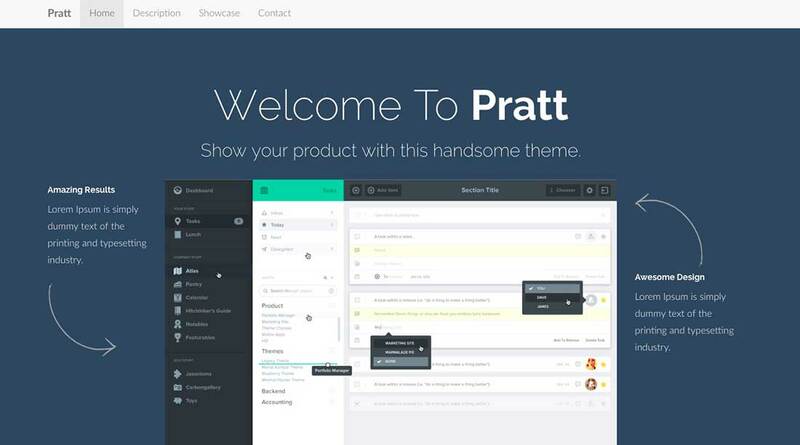 Pratt can be used also as a Coming Soon Page and it’s very easy to work with and customize, has a 100% responsive design and many other great features. 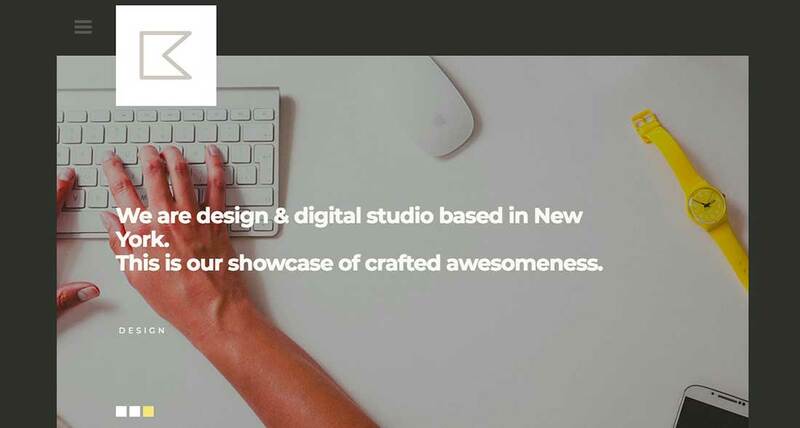 Minimal, as the name states, has a minimalistic design which is best suited for creatives. It comes with a fully responsive design, great portfolio, and many customization tools. 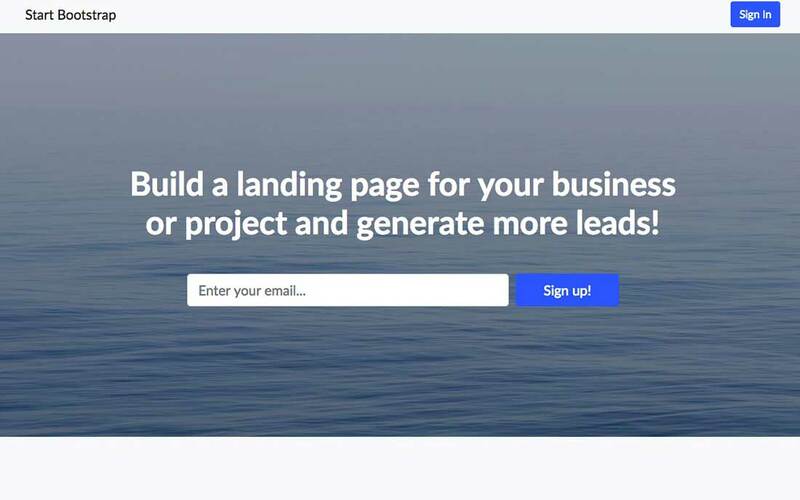 Landing Page was created especially for showcasing products and services and generate leads. The design is modern, clean and fully responsive. 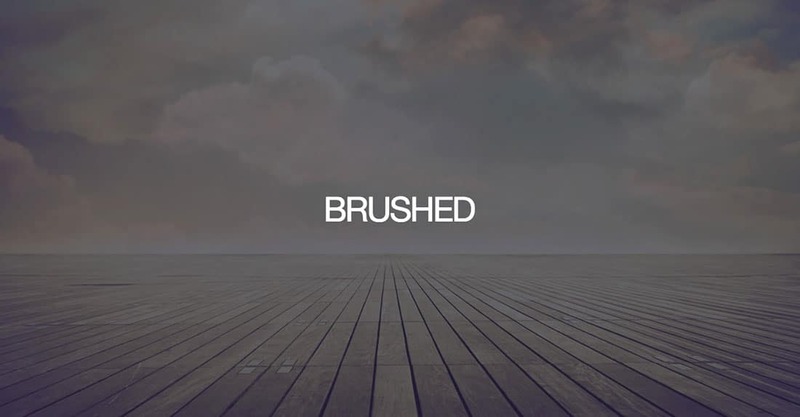 If you’re a creative looking for a portfolio Bootstrap template, then Brushed is a perfect choice. The design is minimalistic and engaging, fully responsive to any mobile device, retina ready, and the theme is easy to install and customize. 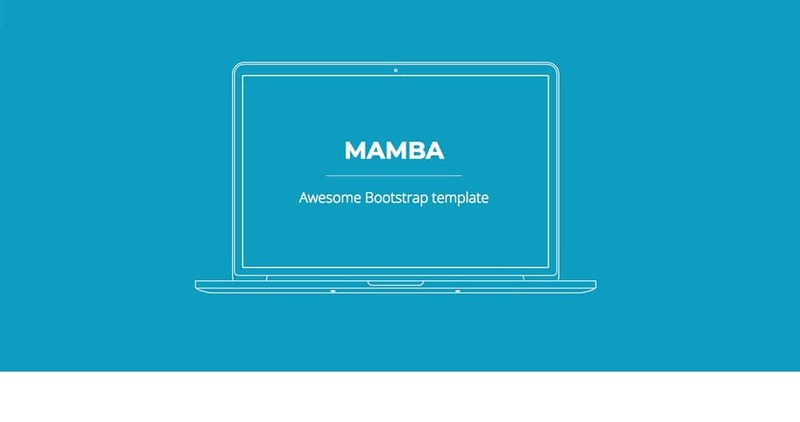 Mamba is another modern looking Bootstrap theme, with a simple, minimalistic and flat one-page design. It’s best suited for creatives and some features include a Smoothscroll, Wow effect, a minimal navigation menu and great portfolio sections and layouts. If you’re looking for a minimalistic, elegant and modern looking theme, then Bolt is a perfect choice. It comes with many helpful options and features and the design is fully responsive and highly customizable. 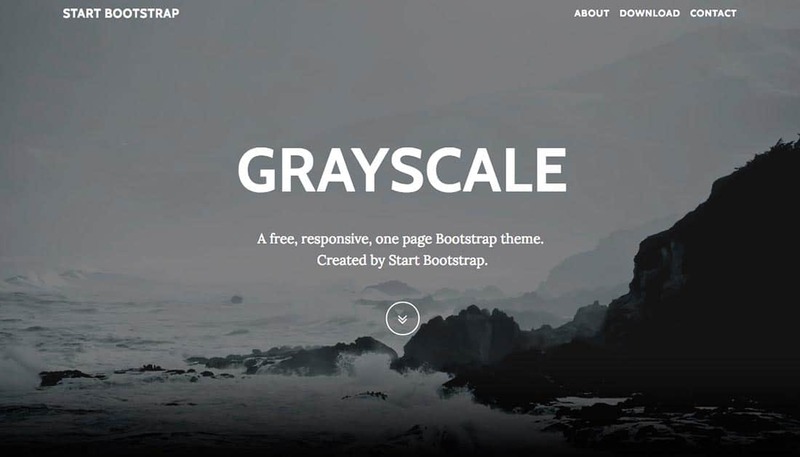 Grayscale is another modern looking theme and it comes with a one-page design based on a dark layout and a minimalistic approach. 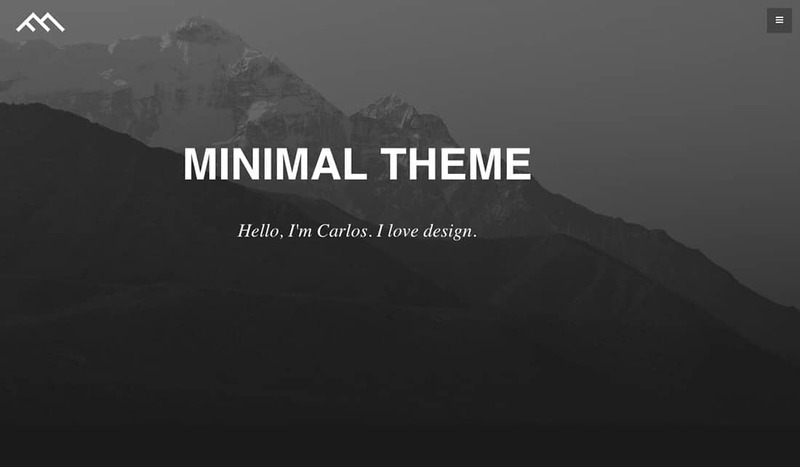 This theme has only one page and it’s a perfect choice for creatives as it comes with a minimalistic and modern design. Other features include an off-canvas menu, parallax effects, a fully responsive design and much more. 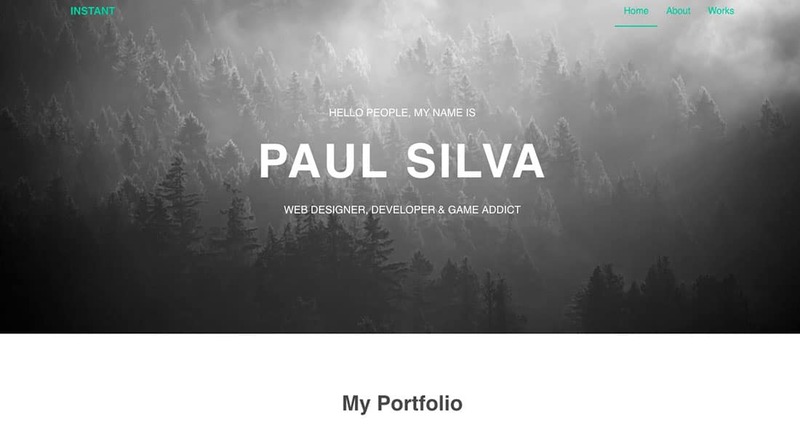 Instant is the perfect choice for freelancers searching for portfolio themes. This theme was created especially for portfolio websites and it comes with 3 pages only – index, portfolio and project. The design is fully responsive, minimalistic, attractive, fully responsive and easy to customize. 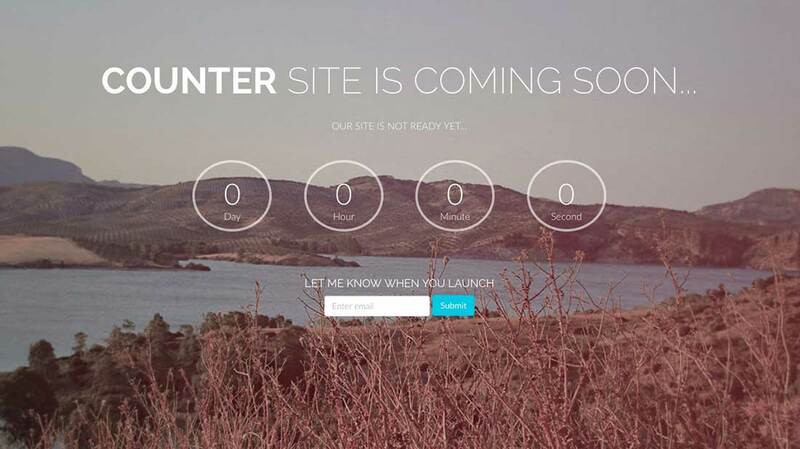 If you haven’t finished building your website yet and thinking about having a coming soon page, then Counter is the perfect answer. The design is fully responsive, clean and modern and the theme comes with a Revolution Slider, a counter which can be easily adjusted and many other interesting features. 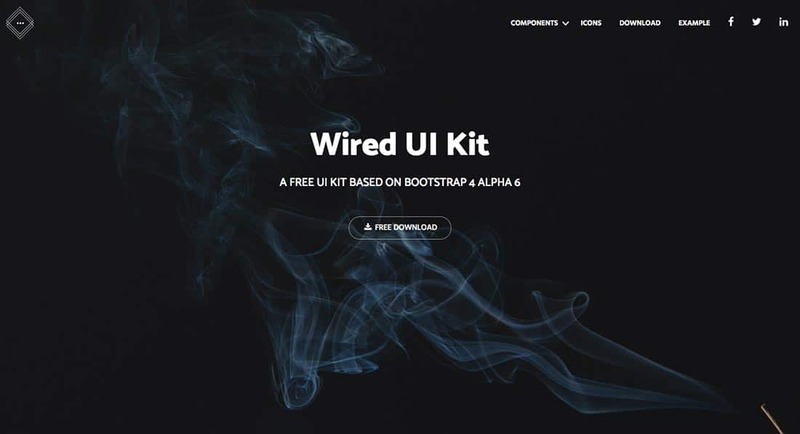 Wired UI Kit is another free Bootstrap kit and it comes with a highly responsive design, clean and neat look, and it has 2 different theme options. Another helpful feature is the included landing page example which can come in handy. This theme is easy to install, use and customize. 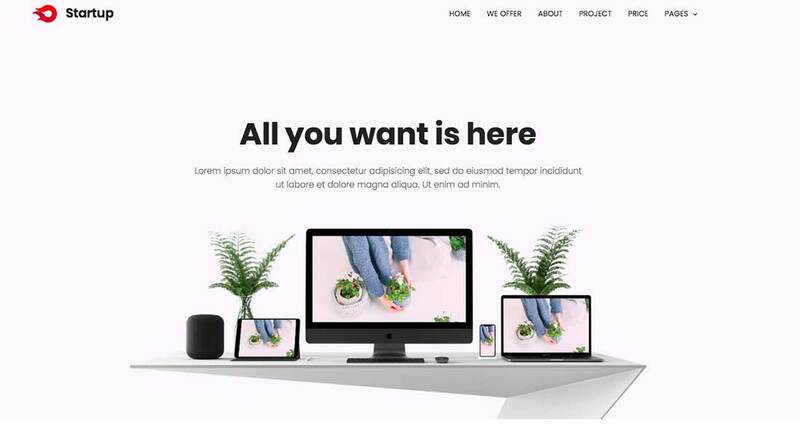 This is another free Bootstrap theme and it comes with a modern and minimalistic design, it’s fully responsive on any device and has many great features. 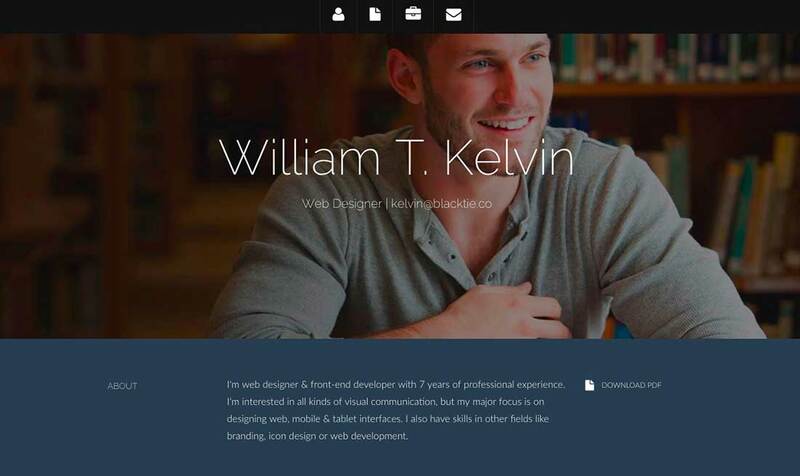 Kelvin Resume is another Bootstrap theme and it comes with a really interesting and neat design, which is fully responsive. It’s dedicated to resume websites and offers many helpful features to promote your talents.